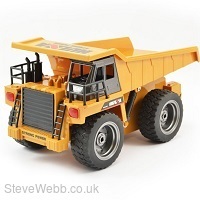 The Hui Na 6-Channel 2.4G Dump Truck is a scale model of a real mining dump truck that works just like the real thing. 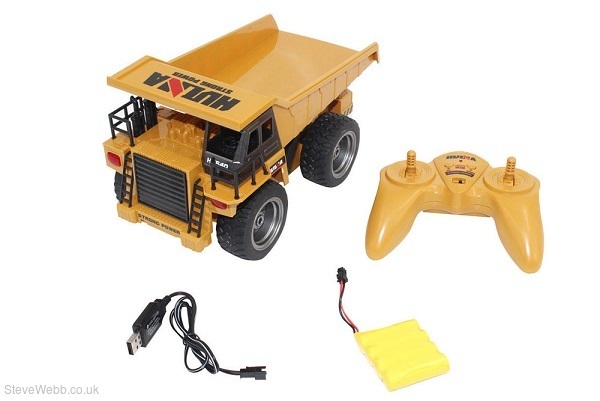 The frame is made of hard metal reinforced alloy for durability, while the powerful 4WD double motors allows for traversing even the toughest terrain. 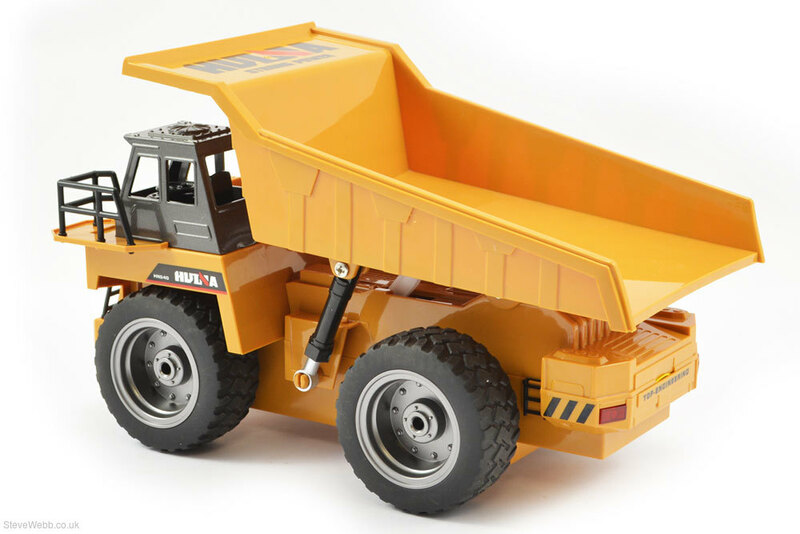 The wheels are made of hard metal for durability with slip-resistent rubber tyres.